Those are the words I will pick if anyone asked me to describe the show I caught at The Playtent on Thursday night. 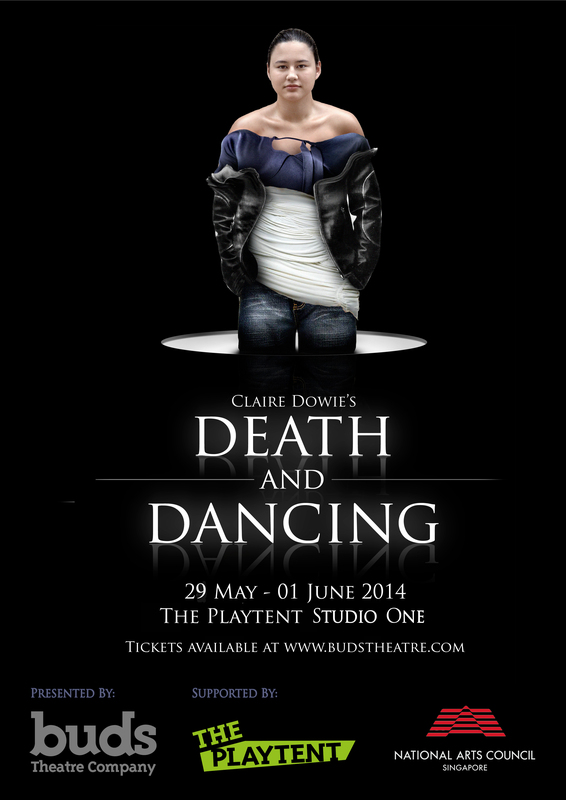 Written back in 1992 by Claire Dowie, Death and Dancing is about two characters – Max and max – that are trying to be themselves while figuring out who they are, instead of simply just doing what everyone else is doing and subscribing to society’s standards. Even though the play itself was written so many years back, it is still especially relevant today. With the constant need to seek a sense of belonging and to make sense of the world and ourselves, many of us have been labeled one thing or another throughout our lives. Sometimes, we may even try to change ourselves just so we would fit a label just to seem “normal” instead of “weird”. But the truth is, we are all individuals that are made up of so many qualities, quirks, wants and needs that a simple category does not do us justice at all. We are so many things with so many roles to play, stories to share and dreams to live. So what is “normal”? Does “normal” exist? What makes someone more “normal” than somebody else? The text was great and raw. The dialogues between the two characters brought out so many questions that go unasked every day of our lives that should be thought and talked about. Together with dynamic acting from the cast, a good mix of loud and quiet moments and the presentation of the piece (costumes, set and use of space), I must say that this definitely engaged me thoroughly from beginning to end. The characters were very alive on stage and there were so many sides to them that words are simply not enough to paint a complete picture of them. You just have to be present in the space and feel their energy, their words and their experiences. To get to know the characters within the intimate space and be open to making eye contact and interaction. Because, I think, there is a bit of Max in all of us and we just have to find it or embrace it somehow. For me, the whole performance touched me to the core of my being – making me laugh, feel and think together with the two characters that are different and yet so similar at the same time. My favourite moment was watching the both of them deliver same lines in the same spot and position. Because even though everything seemed to be the same, they were two entirely different moments with different meanings and emotions altogether. It was really beautiful. This experience reminded me why I love theatre and why I am so drawn to this craft, so thank you so much to Buds Theatre Company for putting up something so meaningful and challenging.